Silybin Phytosome supercharges the absorption and effectiveness of milk thistle. 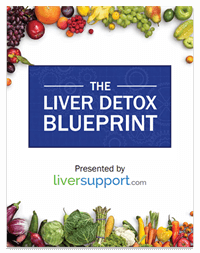 “…Silymarin (milk thistle extract) is a potent liver-protecting substance, useful in all types of liver disease… Although silymarin is quite effective clinically, it is not very bioavailable (it is hard for the body to absorb). In contrast, binding one molecule of silymarin with two molecules of phosphatidylcholine in the Phytosome® process creates a highly bioavailable new form of silymarin. The Phytosome® form is far superior to simple silymarin in every respect. Maximum Milk Thistle™ and UltraThistle® contain a patented form of milk thistle that is actually prescribed by some doctors right here in the USA. This active ingredient is also part of ongoing medical studies specifically for Hepatitis C. (See Study 1, See Study 2). If you take only one natural remedy for your liver, you should take one of these superior milk thistle products: Maximum Milk Thistle™ or UltraThistle®. Read the expert opinions and testimonials. See the clinical studies. And order a supply for yourself. Try Maximum Milk Thistle™ or UltraThistle® and read all of the included information on this site to learn more about other natural supplements you might want to include in your life. All products are guaranteed to give you 100% satisfaction in every way. If you are not completely satisfied with a product you purchased for any reason, return it within 90 days of purchase, and you will be issued a complete refund of the purchase price (less shipping and handling). For any nutritional product you try for the first time, in addition to refunding you the purchase price, we will refund your shipping and handling, AND will even pay for the return shipping back to us. We take the risk out of trying something new. For more information visit our Super Seven Guarantee. As you can see, if you have any liver concerns it would be foolish not to take some form of milk thistle extract. And if you are going to take milk thistle at all, you will probably want to take the most potent and most cost-effective form.